Well, we are off again. This time we are going to catch the south east trade winds and head north, up the east coast of Australia. Our destination is the southern section of the Great Barrier Reef – and in particular the Capricorn and Bunker group of reefs. From Sydney It’s about 750NM up to Yeppoon, and the same back plus some pottering around, so we are up for a 2000NM round trip. Weather depending we are heading up early June and need to be back at our desks by late July. It should take us a couple of weeks to get up there and that gives us 4-5 weeks to explore. It will be wonderful to get blue water back under Vegas keel, but also daunting as it will be our first experience of coral reef sailing, navigation and anchoring. In addition, we haven’t lived on Vega as a family since 2017…how will we all cope!? To prevent us having to rush back down we will leave Vega in Queensland at the end of our cruise and draft in willing family and friends to help bring her down the coast over a series of long weekends later in the year. That way we don’t have to leave early and rush back down. 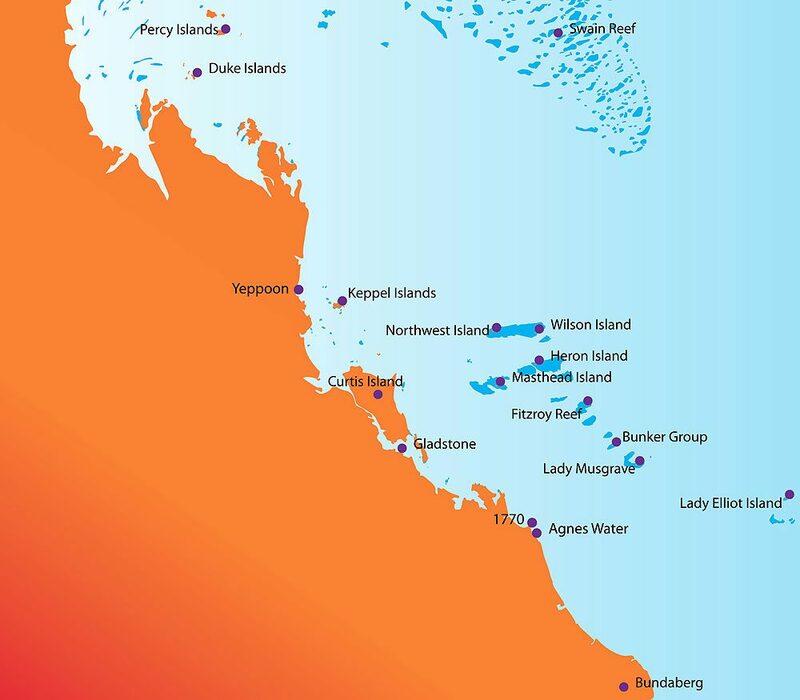 The primary purpose of the cruise is to explore the reefs, but you can only do this in calm conditions with wind under 15 knots and ideally less that 10kts so in-between trips out to the reef we will be coastal hopping and exploring groups like the Keppel islands, and maybe the Percy islands. Along the coast there are heaps of national parks to explore and if the weather isn’t so kind we can always moor Vega in a Marina and explore by car. So we have all bases covered. That said, June and July is one of the best times to visit this area so hopefully we will get lucky! On our hit list is Lady Elliot, Lady Musgrave, Fitzroy and Hardy/Wistari Reefs. I followed a blog of some cruisers last year who did a similar route (over a bit more time) and have been using their blog to help with planning and inspiration..so thank you SV Anui! Check out the link below – they have some great reef cruising information, and lots of great photos to get your travel juices flowing! In general the southern third of the Great Barrier Reef is in much better condition than the northern sections with less bleaching, less cyclone damage, generally lower sea temperatures and less crown of thorns impacting the coral. The Australian Institute of Marine Science (AIMS) publishes reef condition reports for all sections of the barrier reef – below is a link the Capricorn and Bunker Group. This is a great web resource – take some time and have an explore. But we will see for ourselves when we get there – I am keen on doing some reef conservation or research when we are there and I’m keeping look out for programs to help out with, but we don’t have much flexibility around timing so it could be difficult. So now a plan is formed I will be back soon as the cruise turns from dream to reality!